Street scofflaws beware: More traffic cops will soon roam San Francisco’s streets. At a Friday press conference on distracted driving, city supervisors and the San Francisco Police Department revealed 15 officers will join a solo motorcycle training class in May, the training required to join the department’s Traffic Company. That’s the second round of training in less than a year to beef up Traffic Company’s ranks, which hit a low of 37 officers last year. The first class, which kicked off last November, had ten officers make the grade, said Supervisor Sandra Fewer, who represents the Richmond District. Fewer said the increased training is a sign that SFPD Chief Bill Scott is taking street safety seriously — which is especially key as two people were struck and killed by drivers in Fewer’s district just this year. “I think they feel the importance as we do,” Fewer said. She and Supervisor Rafael Mandelman met with Scott to urge him to boost motorcycle-riding traffic cops, after a hearing revealed there were only 37 such cops on the road. SFPD said they need 80 such officers to adequately patrol The City. Fewer said she thinks SFPD can reach 80 officers in traffic company in “two or three years,” and that they’ll get support from the Board of Supervisors to do so. Notably, SFPD doesn’t necessarily hire officers into Traffic Company, it trains already-hired officers to transfer into the division. Meanwhile, at Friday’s press conference the San Francisco Municipal Transportation Agency, SFPD and city supervisors revealed their newest distracted driving campaign, part of the education component of Vision Zero, the effort to reduce city traffic fatalities to zero by 2024. April is also Distracted Driving Awareness Month, and the agencies revealed some startling statistics to help spread awareness on the need to put phones down while driving. Texting or using an app on your phone while driving makes a driver 23 times more likely to swerve or crash a vehicle, according to SFMTA. “According to Virginia Tech Transportation Institute, five seconds is the average time a person’s eyes are off the road while texting. If the person is driving at 55 mph, that’s the equivalent of driving the length of an entire football field blindfolded!” SFMTA wrote on its website revealing the distracted driving campaign. 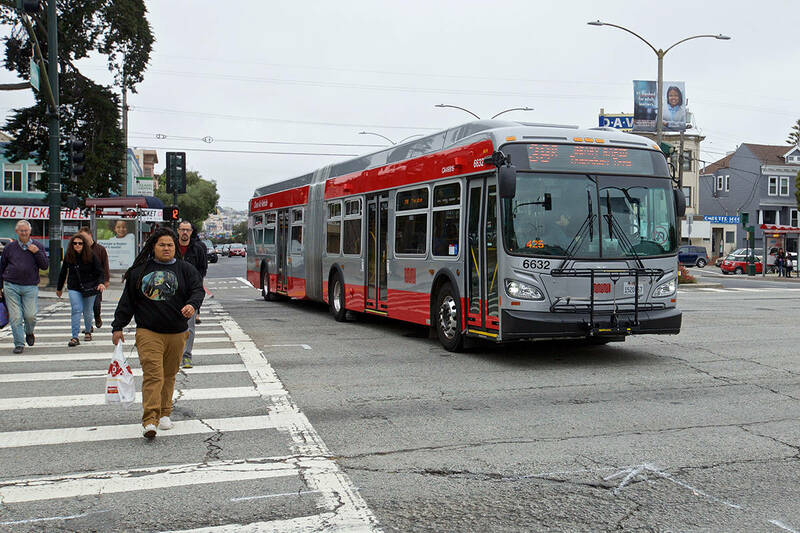 As part of Distracted Driving Awareness Month, SFMTA will run ads highlighting these statistics on Muni buses and light rail vehicles, and SFPD will put its new traffic cops to good use — they’ll conduct citation operations, essentially stings focused on distracted drivers using their cell phones while on the road. Richmond District residents who are interested in hearing new efforts to combat dangerous streets are invited to attend the Central Richmond Traffic Safety Open House on Monday, April 15, 6-8 p.m., at the Richmond Rec Center, which Supervisor Fewer will be hosting.